Self Cure Remedy details of Apply coriander juice for the care and relief of Acne, including effectiveness and popularity scores of the remedy. Coriander is a potent antibacterial, antiseptic, antifungal, disinfectant, detoxifier and antiinflammatory. It also soothes and cools the skin. Extract the juice from fresh coriander leaves and apply to the affected area. Interal use of coriander seeds can cause the skin more sensitive to sun, which may increase sun burns and the risk of skin cancer. Coriander may lower blood sugar levels and can also decrease blood pressure. Stop using coriander at least 2 weeks before a scheduled surgery. 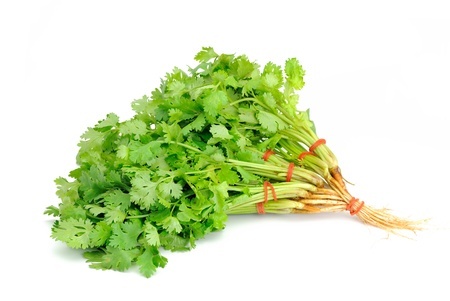 Coriander can cause skin irritation and inflammation for some people when used externally. The self cure remedy of Apply coriander juice for the care and relief of Acne has a popularity score of 0 on the self-cure system.